As we live in an ever more digital world, the need to log and keep a record of our work and experiences is ever more prominent. Keeping everything securely online or offline is key, and now you can access fast and secure memory from the experts at MyMemory. 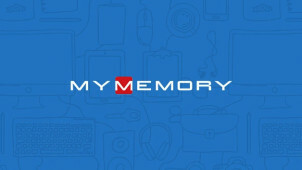 Founded in 2003, MyMemory offers customers memory solutions for mobile phones, digital cameras and much more. For both business and leisure purposes, you’ll be able to explore a variety of SD cards and USB Flash Drives alongside accessories for Apple products and Android devices to adhere to your every memory need. Specialising in consumer electronics too, MyMemory has something for everyone who’s digitally connected. For the gamer, as much as for the photographer or even health guru - here you’ll find gaming goods like Nintendo Switch accessories and PS4 or Xbox games, alongside performance cameras, GoPro accessories and electrical products for the home. This is a real go-to retailer for efficient goods that’ll let you make the most out of your every creative hobby, interest and line of work. Don’t wait to explore more of the world with MyMemory products by your side. How do I use my MyMemory voucher code? If the offer you chose doesn’t require a code, you’ll receive your discount automatically. Subscribe to the MyMemory newsletter to get all the deals and prime digital news delivered straight to your inbox. Are there any MyMemory reviews? MyMemory has a splendid Google rating, you can check out different reviews via the MyMemory home page. How can I change a MyMemory order? MyMemory will do their best to accommodate any order modifications you’d like to make, do get in touch as soon as possible using the Live Chat online. Braintree is their payment provider and follows the most stringent of security guidelines so you can rest assured that you're using a secure shopping service with MyMemory. Delivery is included and MyMemory tries to dispatch orders within a 24-hour window of their confirmation on working days. Orders will arrive within 3-5 working days after that. You may return MyMemory goods within 30 days of their receipt should they be faulty or damaged. For items which you simply would like to return, email support@mymemory.com with a brief reason as to why the products aren’t suitable for you if possible. Email: support@mymemory.com or use the contact form. Call: +44 (0) 1534 789922 or use the live chat. Customer service lines are open Monday to Friday, 10am to 4pm (GMT). For all of your digital memory needs and for a whole host of consumer electronic goods too - you can rely on MyMemory to provide you with the perfect performance products that’ll let you get more from your digital world every day. A MyMemory voucher code will let you save on memory storage essentials from trusted brands like LG, Integral, MyMemory’s own brand and many more. Now you can go above and beyond in your work and in your every day when you can enrich your experiences and back up your memory with the experts. The MyMemory blog is a centre of know-how and insightful advice on all things digital and tech related. With categories dedicated to photography, memory and for a whole host of guides too - from choosing your devices to using your products to the best of their ability - all of your life and digital hacks can be accessed here. If you’re anything like us, and document most things in endless pictures, videos and memos - then you too could do with a little more memory to keep up with your fast pace of life. For MicroSD cards galore, to use on your smartphones, digital cameras and other devices, a MyMemory discount code will let you save on the cost of reliable memory boosters. With capacities big and small to choose from as well as different brands and read speeds - you’ll be sure to find the perfect secret weapon to your devices with MyMemory.